Yahoo is focused on making the world’s daily habits entertaining and inspiring. By creating highly personalized experiences for their users, they are updating their services to make it more informative and quick. 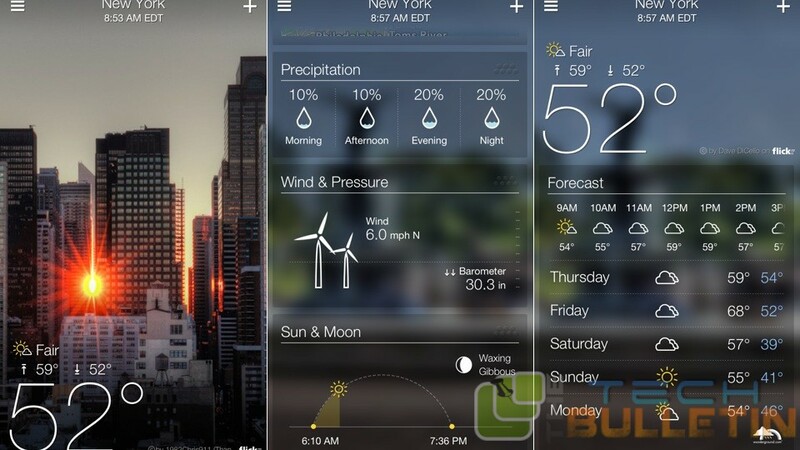 Yesterday itself Yahoo has launched the Weather app for iOS that you can find easily at iTunes available for free. Yahoo claims to offer most accurate weather updates based on your location throughout the day also it comes with synced Flicker as background images that automatically changes time to time. Now only that in the year of 2013 this weather app has got Apple Design of the year, I don’t think you need to think twice before walking through the iTunes Store to get this on your iPhone or iPad. Yahoo also said that depending on the weather or temperature your app background will change accordingly such as for hot summer days or hot days, you will see haze came across automatically on your screen, means without going outside you can predict the exact weather by seeing the background. The lock screen it provides to your device is just awesome, most of the times it come with HD images but sometimes it shows low quality image, however I haven’t came across to this issues but few users have mentioned that these are the bugs they need to fix. Tinder Gold vs Tinder Plus – What’s the Difference?